The objective of VASVU is to provide access to university education for students living in the Netherlands who have had schooling abroad but no direct entry into Dutch higher education. This intervention is part of the vision of the university to contribute to the community through education and research. VASVU made a conscious decision to not specify a maximum target with the intention to provide everyone who is eligible with the opportunities to enter a university. VASVU wants to be able to provide this accommodation. They did however specify a minimum target of 15 participants per group, with a minimum of 3 groups. Each group focuses on specific set of courses. VASVU is part of a bigger and more holistic approach and wants to provide the participants with not only the basic skills in their preparation for Dutch higher education, but more so with the knowledge, insights and skills to navigate the Dutch higher educational system in particular and Dutch society in general. The program provides a Dutch language course and offers a specific set of courses that prepares the participants for the desired studies. On average VASVU reaches 50 students per year. In 2015 VASVU accommodated 5 groups learning the basics of Dutch at the VU before entering the program and 3 groups of 10-25 participants during the program. VASVU was initiated by the university, university staff and students in 1980, when the VU university celebrated its 100th anniversary. At the time there were refugees who wanted to enter the university, but didn’t have the required preparation in terms of language and academic skills. Since the VU has always had a social mission to society, the people from the university wanted to set up a project as an anniversary gift. It started out as an experiment that was supposed to last three years, but ended up being prolonged until it became a sustainable program embedded in the university. Key drivers were the student counsellors for foreign students and students and staff themselves, who noticed a growing need for a comprehensive approach that addressed academic preparation for entering the Dutch higher educational system. In the first years students and staff collected money to fund the program, later on the funding was centralized to ensure a sustainable program. The VASVU program aligns with the institutional priority to contribute to society, to actively engage in internationalization and to provide a diverse and inclusive learning environment for all students. VASVU isn’t based on a particular theoretical framework, but does screen teachers to find one common factor: a balance between empathy and rigor. Teachers need to be able to work with students from diverse backgrounds in an international setting, they need to enjoy teaching and they need the patience and understanding to work with students who aren’t always able to attend classes due to personal circumstances. Teachers need to understand the context of the students and have to be willing to take on a proactive approach in case of problems to look for a solution. In practice these teachers are often professionals who have either worked with international students or who have had an international background or experience themselves. Another basic requirement is having a master’s degree, because teachers need to be able to interact with university professors to discuss the alignment of the preparation and study courses. 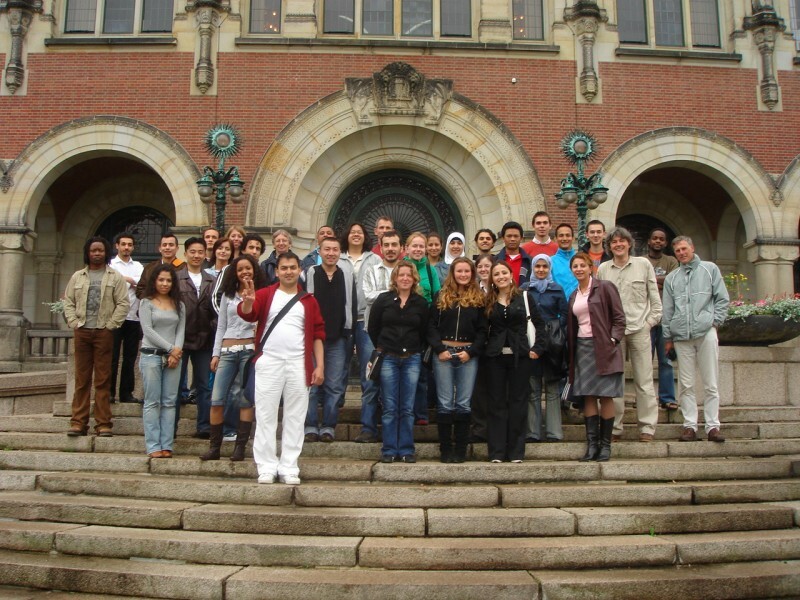 The target group are persons who are living in the Netherlands, who have had schooling abroad but no direct entry into Dutch higher education. In practice the majority of this target group are refugee students. Other participants are children of immigrants and partners of Dutch citizens. In regards to refugee students, about 50 students participate per year from countries like Afghanistan, Burundi, Eritrea, Iraq or Syria. In regards to children of immigrants and partners of Dutch citizens, about 10 students participate per year. The age of the participants ranges from 18-28, with the majority of the participants between the age of 20-22. A small part of the participants is above the age of 40. 10-20% are students with children. About 80% of the participants are refugees. 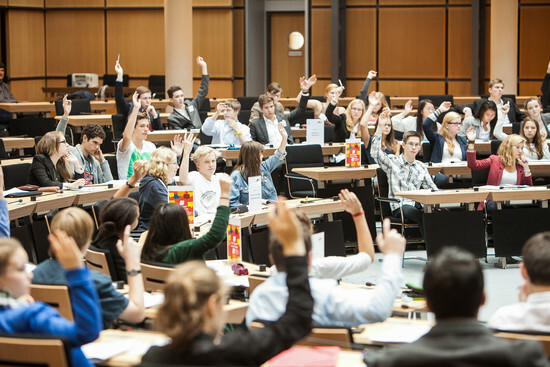 Refugee students are eligible for participation when they have formally requested asylum in The Netherlands, so they don’t have to have a residence permit in order to participate. So while they cannot participate as undocumented students, they are allowed to participate as asylum seekers without a residence permit. In terms of educational background, the participants are required to have finished primary and secondary education. They need to show a basic level of academic thinking that would allow them to enter higher education in their country of origin. Sometimes the participants have already gone to higher education in their country of origin, but don’t always have the papers with them to show it. Therefore, VASVU has developed an intake exam to assess the necessary skills and thinking that would allow the participants to complete the program successfully. In case of doubt the students are admitted because VASVU wants to provide opportunities to students who have the potential and therefor gives them the benefit of the doubt. Each participant is required to take the intake exam and provides VASVU with an estimate of the value of their academic level. The biggest challenges the participants face however are not academic challenges, but personal circumstances that prevent them from focusing on their studies. Examples of challenges many participants face are limited financial resources, having to deal with traumatic experiences and family circumstances and having to get used to the Dutch educational system. The main challenge is learning the Dutch language, for most participants it’s a means of communication and not necessarily a must to learn the content of the courses. It is however a strict and basic demand, because it prepares them for the studies after the program that are usually in Dutch. In regards to implementation of the program, VASVU collaborates with different departments within and outside of the university. They work together with faculty to discuss the admission requirements for the desired studies and align the preparation courses with those requirements. They work together with student counsellors for student support, with human resources for staff support and with the financial and student administration. VASVU also works together with VU students, who have taken initiative to set up a buddy system for the VASVU participants. Outside of the university VASVU collaborates with DUO (Dienst Uitvoering Onderwijs), an executive department of government for education. DUO finances and informs participants in education and educational institutions and allows participants of VASVU to get a loan for the course fees, which become a gift once they have successfully completed the program. VASVU also works with the foundation for refugee students (UAF) to provide participants with books, a laptop and reimbursement for travel expenses. VASVU also coordinates with the municipalities to ensure the participants don’t lose their welfare support once they start their studies. In The Netherlands students lose their right to social benefits once they start their studies. VASVU also engages in an exchange of ideas and experiences with other transfer tracks on a national level and with EAN on an international level to stay current and up to date on new developments. VASVU has the direct support of the municipality of Amsterdam. The municipality of Amsterdam has signed a so-called covenant (administrative agreement) that allows participants to maintain their social benefits while studying. With other municipalities VASVU has to negotiate these terms per student, even though there is no covenant with other municipalities they do eventually support the program by allowing the participants to start their studies while maintaining their social benefits. In general the municipalities are benevolent and want to ensure the participants get a chance to pursue their academic goals. In terms of local, regional or national policies it’s hard to fit the participants of VASVU in a category and therefore find political support. On a national level, the participants belong to a group that doesn’t fit any current legislation. The law on integration provides some basis, but doesn’t relate to travel expenses or livelihood for instance. On a regional and local level, municipalities do have a task to provide shelter and support for refugees, but this task is more focused on access to the labour market and less so on access to an educational track. So there’s little political basis to address the issue. When it comes to demographic changes that influence the program, the student population of VASVU is a reflection of the wars in the world. For instance, VASVU has seen increases during certain periods of time in students from Afghanistan and Syria. So international affairs are an important factor in the enrolment of participants for VASVU. The social mission that is embedded in the institutional strategy and culture of the VU provides a solid basis for VASVU to continue. The VU wants students who are committed and skilled and VASVU participants belong to that group. In that sense providing a transfer track for these students is in the interest of the students themselves, the university and society as a whole. Because of this approach VASVU has always gained support within and outside of the institution. VASVU believes the power of the program lies within its sustainable approach and social mission. The work that is done with the students is short term, in a transfer track of eight months, but the strategy is long term and ensures continuity to provide students who need extra support with the necessary preparation. Besides this strategic approach, VASVU also considers other important success factors: the involvement of the teachers, transparent communication with the participants who are held to high standards but with realistic expectations. The participants know they aren’t guaranteed to start their desired studies, but are equipped with the necessary tools and offered a chance to enter Dutch higher education. The students enjoy a full time course which covers subject material: Dutch, English, Mathematics and History and Sciences as needed as well as extensive attention for study skills, orientation on study and society, computer skills and intensive tutoring. This combination of content and skills is coordinated by faculty members into a comprehensive and coherent program. VASVU has arranged for faculty meetings to take place every three weeks, so teachers are able to monitor and align their classes. VASVU strives for a learning environment that is a reflection of the learning environment the participants will enter once they start their studies at a university. In this regard teachers are free to maintain their own teaching style and instructional design. The participants therefore engage in a range of learning styles and assignments depending on the course and teacher. The final output is the successful completion of the program. About 50% of the participants go on to start their studies at the VU university. About 20-25% go on to start their studies at another institution, because the desired study isn’t available at the VU or the participants want to attend a university of applied sciences instead of a research university like the VU. The remaining students choose to take more preparation time before they continue their studies and start their studies at a later point in time. The sources for funding have been fairly stable during the past thirty years and look equally sustainable now and to the near future. This stability is ensured because of the institutional commitment to continue the program and the centralized funds that have been made available every year to support the program. In regards to replication, nowadays there is one more foundation year in the North of the country at the research University of Groningen in collaboration with the Hanzehogeschool University of applied sciences. However in terms of university transfer tracks the VASVU is still one of its kind. The budget of the VASVU program is in line with the budget of transfer tracks in general. The national average of these transfer tracks are about 5000-7000 euros per student. The government provides funds for integration of refugees in the society enabling them to pay tuition fees, the foundation for refugee students (UAF) provides funds for travel and books, the municipalities make available allowances for living costs and the university provides a basic grant for operating the staff and costs of the program (about 50% of the course costs), classrooms etc. All instructors are professionals, employed or contracted by the university. VASVU also receives small amounts in donations from students or other people who are affiliated with the university. In regards to volunteers, VASVU works together with VU students who are volunteering as buddies for the course participants. The buddy system helps participants find their way in the academic institution in particular and Dutch society in general. The buddies are trained to support the participants in this trajectory. As of 2015 there are more buddies available than VASVU participants, over 100 students have been trained as a buddy. The amount of time they spend on the buddy program depends on their own schedule and contact with their VASVU buddy. The guideline however is set to one hour per week. Because of the social mission of the university and its commitment to provide opportunities and support to students who are an asset to the university in particular and society in general, the perception of the program and its costs has been positive so far by the audience, the sector and other stakeholders. The result is that students who otherwise would not have made it to higher education have started their tertiary education. An extensive tracking study was conducted in 2010, covering the first 30 years of the programme. It showed that over a thousand students started tertiary education and that their results were (almost) comparable with Dutch students entering university directly from pre-university schools. Perhaps an unintended outcome has been the contribution of the program to the image of the VU university as an institution that is open to everyone and wants provide educational opportunities. The evaluation process of the program consists of two parts: feedback given by the participants and feedback given by the teachers. The participant feedback focuses on their experiences, their assessment of the teacher involvement, learning environment, curriculum and exams. An interesting observation is that the participants are inclined to give only positive feedback, despite the explicit request to provide honest answers and constructive criticism. The teacher feedback focuses on the student involvement and student achievements.